Estonia, like Latvia, doesn’t have the selection of quality online dating sites you will find in countries such as Ukraine or Russia . 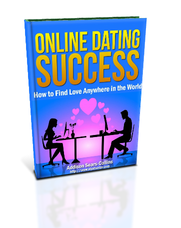 However, the sites that I mention here – the best online dating sites in Estonia – are the ones that I’ve handpicked to put you in the best position for online dating success in this country. One of the things I like most about Estonia is that men are outnumbered. In fact, in the 15-64 age group, the male to female ratio is an amazingly low 0.91! This low ratio puts Estonia on par with its neighboring countries where the ratios of men to women are some of the lowest in the world. However, despite the great setup for men considering traveling or living in Estonia for a good period of time, it will not be easy. You will still have to work your tail off scanning lots of profiles and sending messages back and forth. Also, most people don’t know the Estonian language, so you will have to pick up some Estonian in order to get the best online dating results. 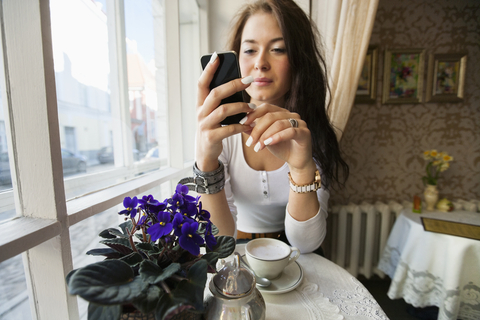 Without further ado, here is the quick list of the top two dating sites in Estonia. I’ll go into more detail in my reviews below. Mamba.ru has been in the online dating game for years and is popular in both Russia and Ukraine. It is the only site worth using if you find yourself lonely in Estonia and eager for a date. I’m usually not a fan of Mamba as a primary dating option because you have to weed through a lot of garbage profiles on the site. However, I can’t deny that it is truly the best site to begin your Estonian dating adventure. I must advise you in advance that there will be some women on there that might be looking for a visa sponsor or “client.” Steer clear of these types of women at all costs. The good thing is that Mamba is completely free, and I know people who use this site as their sole online dating tool for the Baltics and FSU (Former Soviet Union). 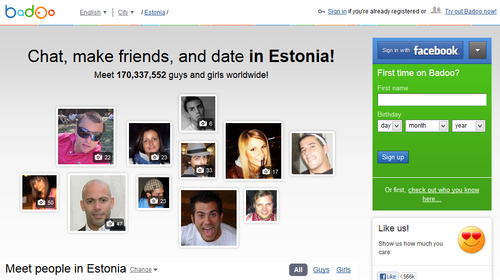 A massive worldwide online dating site launched in 2006, Badoo is an OK option for Estonia. If you do a search of active people over the last month, you will turn up a lot of people in your search results. The problem with Badoo is the same problem you will have using this site in any country…you will have to browse through a lot of poor quality profiles in order to find your princess (or prince).